Over the course of this internship I have learned a great deal, and often in areas that I had not anticipated. One such area is that of indigenous vegetables. I have learned so much about all these vegetables I never knew existed! But not only did I learn about vegetables, I was reminded of another valuable lesson. While in Kenya, I quickly became familiar with amaranth, black nightshade, and cow pea leaves, as more common local vegetables. My interest grew as I was searching for more drought resistant vegetables suited for the areas we were working in, and came to find long lists of edible indigenous vegetables. I thought this was so exciting and felt like I was going to be some great restorer of indigenous knowledge and that in a single sweep I would restore food security in rural Kenya. I was further encouraged in this as the nutritionist at our regional office encouraged me to do some trainings or demo projects with traditional vegetables in the next site, Asembo. In Asembo, armed with a list of scientific names, but limited ability to actually identify said plants, or tell anyone how to prepare them, I was set to preach the good news of indigenous vegetables. Of course, in hindsight, I think it is pretty predictable what happened next. At the first home visit I went on, I was proudly shown the family kitchen garden. I quickly judged it to be a chaotic mess with nothing but a few Sukuma wiki (collard greens), struggling tomatoes and overgrown amaranth. While it was not the neat and tidy garden I was looking for, it was enough vegetables that the family rarely ate produce from the market. Along with the sukuma wiki was also black nightshade, spider plant, cow peas, jute mallow, at least four types of amaranth and other edibles I still don’t know names for. Turns out in the western region of Kenya the knowledge and use of indigenous vegetables is actually higher than the rest of Kenya. 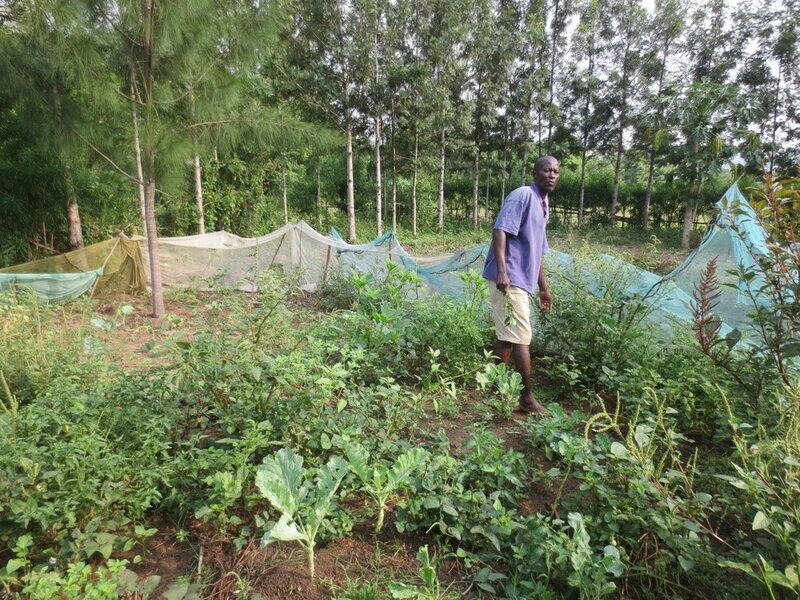 In one study*, in Bondo district, community members identified 60 leafy vegetable species, most of which were gathered from the wild. I found that I really didn’t need to be reintroducing anything, but just learning and allowing the community to share their own knowledge with me and with each other. I still believe that in Kenya, as in other parts of the world, there is a real need to promote traditional foods and preserve the knowledge surrounding traditionally useful plants. Ending up in Western Kenya with my own agenda I found this was not really a problem among our community groups, and not only that, but I was hardly the best person to teach this material. It definitely brought to my attention the disconnect in how I say I think development should be done, and how I was actually moving forward. In the end, I am grateful to the local eRoots manager, Kevin, and the Asembo community members who shared their wealth of knowledge on the nutritious, and medicinal wild plants they make use of, along with a lesson in humility. *Orech, F. O., Aagard-Hansen, J., & Friis, H. (2007). Ethnoecology of traditional leafy vegetables of the Luo people of Bondo district, western Kenya. International Journal of Food Sciences and Nutrition, 58 (7), 522-530. We acknowledge that we are in Mi’kma’ki, the ancestral and unceded territory of the Mi’kmaq People.